March 22 has become another date that will go down in history as a dark moment for Europe’s values of democracy, freedom and openness. 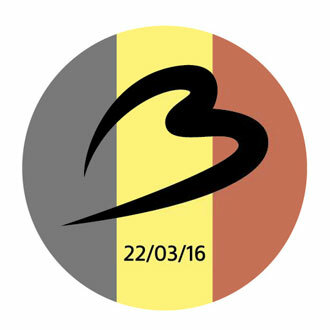 The Brussels terrorist attacks have affected the entire airport community – and we have received countless messages of support and solidarity from our members for Brussels Airport and its staff. For the ACI EUROPE team, the proximity of these events keeps resonating both on a professional and personal level. Indeed, we have always had a special relationship with Brussels Airport – our home airport. Over the years, we have seen first-hand Brussels Airport going through tremendous change: getting privatised, bouncing back from the failure of its home based carrier Sabena, diversifying and successfully developing connectivity while lowering its carbon emissions, expanding and ultimately redefining the passenger experience. In many ways, Brussels Airport is a very fine example of the business transformation that Europe’s airports have undertaken. So, it is no surprise that beyond using the airport for our many travels across Europe, we also regularly call on Brussels Airport to help us in our mission to promote our industry’s interest. Part of this means having policy makers getting a real feel for airport operations and economics. Brussels Airport has Standing by our airport – Brussels Airport By Olivier Jankovec, Director General, ACI EUROPE always obliged – and just a week before the attacks, they actually hosted a delegation of close to 50 people from the European Parliament. As I write these lines, Brussels Airport has just successfully restarted operations. “Getting back to normal” will be a massive technical and emotional challenge, but they have already shown the world that the heart of Europe beats on no matter what. ACI EUROPE is standing by Arnaud Feist and his team to assist in any way we can. Unsurprisingly, the Brussels attacks have reignited the debate over the protection of airports’ landside areas, which are open public spaces. In the hours following the attacks, ACI EUROPE immediately cautioned against the adoption by the EU of screening measures for access to these areas. Indeed, such measures would simply move the targets of terrorists, rather than securing them. We are reassured that these views have been heard at European level. The European Commission in particular is rightly placing the focus on improved intelligence, data gathering and effective coordination. Terrorism and aviation were intrinsically linked for decades and layers of airport security were built around threats such as aircraft hijackings and bombings – including the liquids plot of 2006 and other plots to place an explosive device on an aircraft. But terrorism itself has changed. The terrorists who attacked Brussels Airport had absolutely no interest in getting near an aircraft. Their only goal was to bring destruction and chaos to a busy and significant public space. In this regard, airports’ landside areas are no different from other public spaces such as restaurants, stadiums, concert halls and metro stations. By targeting such “soft” targets rather than airports’ air-side areas or aircraft, the recent string of terrorist attacks show that we are facing an unprecedented challenge – which is no longer confined to protecting aviation. It comes down to safeguarding our freedom and ease not just to travel, but to go about our daily lives in our own neighbourhoods. The fight against terrorism can no longer be focused on the airport as being the key place to catch terrorists – and it can no longer be focused on conventional security checks as the way to prevent atrocities. This requires a paradigm shift in our security culture and modus operandi, well beyond aviation – with effective gathering, sharing and coordination of intelligence at its core. This was in essence the message I conveyed in my previous editorial from the Winter issue of this magazine, just after the Paris attacks of last November. What happened in Brussels should give a sense of renewed urgency to move forward.